If you’re searching for a dependable catering business that can take care of all your Grantham hog roast needs, The Roasting Pig may just be the perfect option for you. 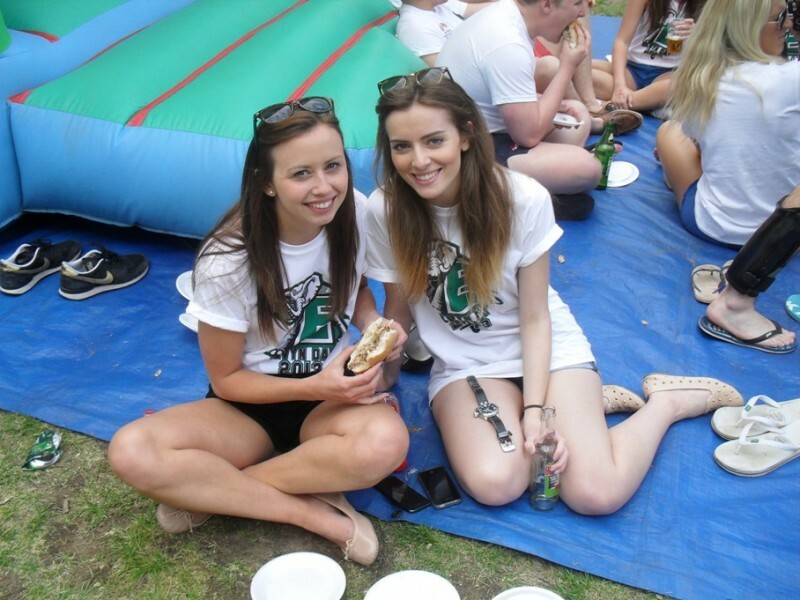 We’re a full-service catering company that serves customers in the entire Midlands region. If you’re planning a nice hog roast for a work event, birthday celebration, wedding or anything else, we can offer you the attentive and reliable catering service you deserve. 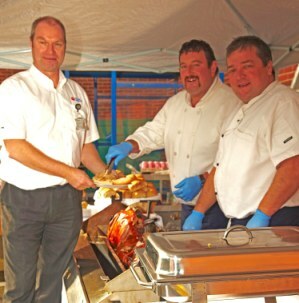 The comprehensive hog roast packages we offer to customers in Grantham are genuinely impressive. Our classic hog roasts are truly delectable. If you want a full hog that has subtle cider flavouring and that tastes absolutely terrific, our catering service won’t let you down. 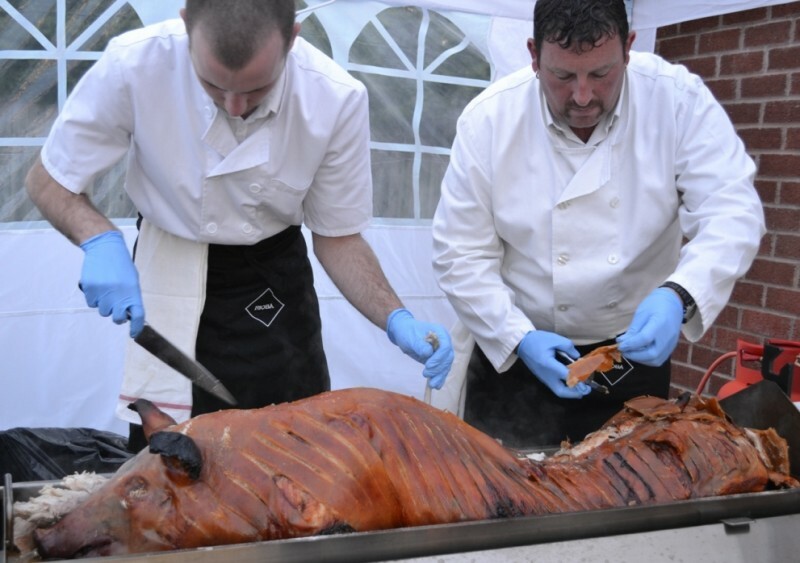 Our hog roasts come with applesauce, onion and sage stuffing and bread rolls that are sure to make all of your event’s guests happy and content. Seasoned lamb roasts are yet another big specialty we offer here at The Roasting Pig. If you want roasted lamb that’s full of incredible rosemary and garlic flavouring, we’ll surely delight your taste buds. Our lamb roasts come with vegetables or mint sauce and irresistible bread rolls. Our roast meals are available in buffet serving styles. The Roasting Pig is a reliable catering company for people who appreciate first-rate meat that always tastes fresh and hearty. If you want to organise an unforgettable event that has some of the finest catering imaginable, we won’t disappoint you or your guests in any way. Our company offers a wide array of quality side dishes as well. Examples of our various available sides are cider and pork sausages, pigs in blankets and new potatoes that that have buttery herb flavouring. We even offer coleslaw and a number of refreshing mixed leaf salad choices. Our numerous dessert choices include fresh cream and strawberries and apple pie. We even offer shot glass desserts. If you want to work with a catering company that prioritises excellent food and excellent service, The Roasting Pig should be the first place you contact. 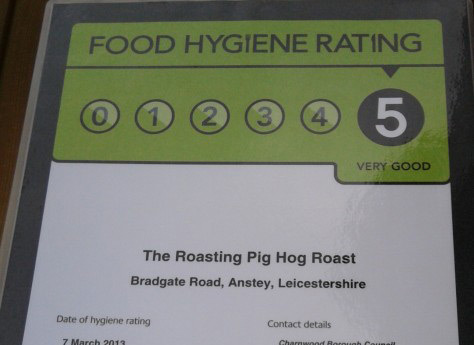 If you need reputable hog roast catering service anywhere in Grantham (Lincolnshire), call us at The Roasting Pig as soon as possible. We specialise in high-quality roasts. We also offer service that’s friendly, impeccable and polite. If you need more information about our company, we’ll be more than happy to speak with you.